Looking for a bargain on K-cups? Coffee For Less has the best price. 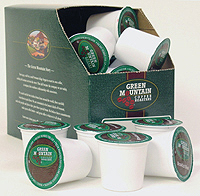 A case of 100 k-cups is only $38 ($40 less 5% coupon link)! Stock up and they even ship orders over $75 for free! Click here, for the 5% off discount before placing your order.